Are you a quilter? Have you been quilting for many years? Maybe you’re new to this art form! Perhaps you’ve never stitched a stitch in your life but you are certainly a huge enthusiast of quilts and the exceptional amount of work they require. In whatever form your appreciation for quilting comes, you are most likely going to find yourself very interested in the upcoming AQS QuiltWeek 2018 that will be taking place for the very first time in Virginia Beach, VA. Don’t miss out! AQS (American Quilter’s Society) QuiltWeek 2018 will bring just about everything you could ever imagine to our community in regard to quilting. Check out hundreds of exceptional quilts that are up for awards. Learn more during a quilt workshop taught by highly experienced individuals. Shop for your every quilting need and desire from vendors from around the world. It’s an event you won’t want to forget to write on your calendar. 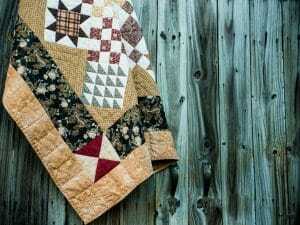 Gather up the details you’re interested in learning about this quilting event when you call 270-898-7903 and when you visit the event’s website here. Make sure you’re coming in to see us for your every dental care need. Simply call our team! Contact Absolute Dental Care today in Virginia Beach, VA to schedule a visit by calling (757) 428-7440. We proudly welcome patients Virginia Beach, Chesapeake, Norfolk, Suffolk, Hampton, Eastern Shore, and all surrounding communities.